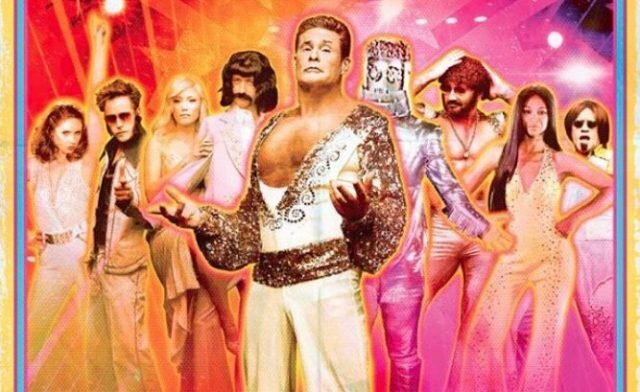 Guardians Inferno Video Featuring David Hasselhoff Coming! A Guardians Inferno video is on the way featuring David Hasselhoff and the Sneepers! Guardians of the Galaxy Vol. 2 director James Gunn just announced that the world will see a Guardians Inferno video when Guardians of the Galaxy Vol. 2 hits home video next month. The song, from the soundtrack to the film, was played during the credits and featured lyrics like “Getting down and dirty with a procyon lotor. Got no people skills but he’s good with motors.” “Guardians Inferno” is performed by The Sneepers featuring David Hasselhoff. The song was co-written by Gunn and score composer Tyler Bates. If the “Guardians Inferno” video is anything like the poster, which you can see in Gunn’s Facebook post below, it should be magical. You can listen to the song in the player below. Are you guys excited for the Guardians Inferno video? What do you think of the poster? Let us know your thoughts in the comments or tweet us @SuperHeroHype.